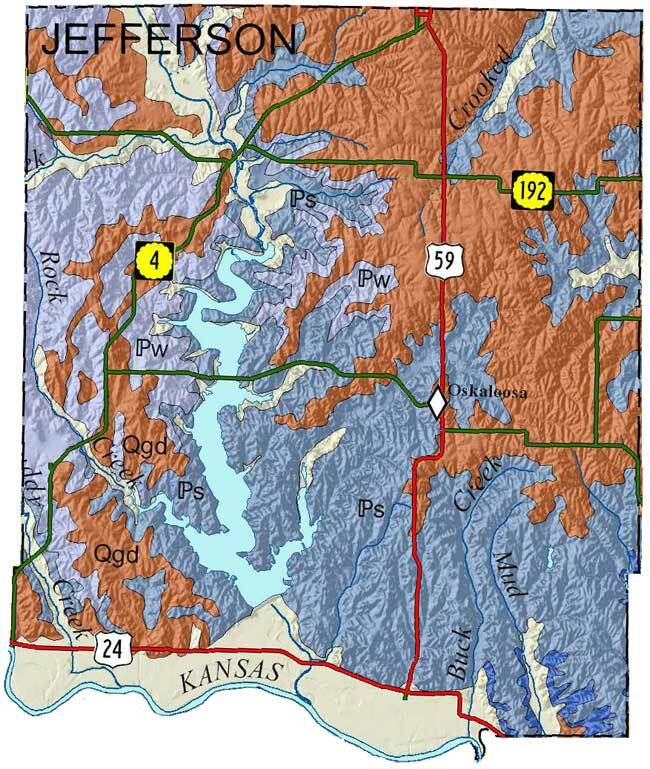 Winslow, J.D.,  2007, Geologic Map of Jefferson County, Kansas; geologic formation boundaries adjusted by E.C. Crouse, D.R. Collins, and J.A. Ross to fit 1:24:000 topographic base of the U.S. Geological Survey: Kansas Geological Survey, Map M-55, 1 sheet, scale 1:50,000.